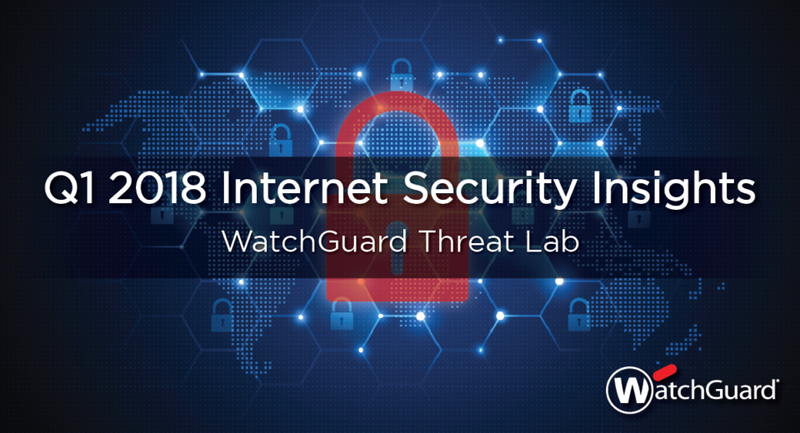 Today, we’re pleased to announce the release of WatchGuard’s Internet Security Report for Q1 2018! Every quarter, WatchGuard’s Threat Lab looks forward to diving into Firebox Feed data from tens of thousands of live Firebox appliances across the globe to produce a report on the latest security threats cybercriminals are using against small to midsize businesses (SMBs) and distributed enterprises. In addition to analyses of the top computer and network threats from Q1, our latest report highlights useful defensive strategies companies of all sizes can use to protect themselves, an original research project on spear phishing attacks and much more! Overall, the findings from Q1 2018 reinforce our expectations that both new malware and attack techniques will continue to grow at a rapid pace in the months to come, which further accentuates the importance of education, layered security and advanced threat prevention solutions. WatchGuard’s quarterly Internet Security Report is based on anonymized data from over 37,000 active WatchGuard UTM appliances worldwide. In Q1 2018, these devices blocked nearly 17 million malware attacks with signature-based detections and an additional 6.7 million malware attacks with advanced malware sandboxing.